Suffering from asthma can be life threatening if you are unable to manage it properly. Many people that suffer from asthma can lead normal lives as long as they know what triggers it and how to deal with it on a regular basis. 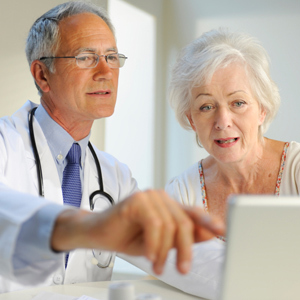 Working with a doctor is a must as he or she will be able to help you in many ways. If you want to understand as to how you can work with your doctor to manage your asthma there a few things that you can do to help. Find a good doctor that you trust. If you have been suffering from asthma for most of your life, then chances are that you already have a very good doctor that you have gone to over the years. He or she is in the best position to help you manage your asthma as they know your history and subsequent treatments that you have been using. It is very important that you communicate with your doctor regarding any issues that you might be having with your asthma. Be sure to openly talk about anything you are feeling regarding your asthma and the affects it has on your body. Let your doctor know if your asthma is getting better or worse depending on the treatment that you are using. Always remember to ask plenty of questions to your doctor. If you have something on your mind then always discuss with your doctor. Also, ask about any new asthma treatments that might be available and if they can benefit you. He or she will not mind answering any questions that you might have regarding the management of your asthma. Work with your doctor to help you manage your asthma effectively by developing a diet plan with his or her. Your doctor will understand the different factors that trigger your asthma and how various foods can be included or taken out of a comprehensive diet plan. Although doing exercise is not recommended by those suffering from asthma, there are a few different techniques that you can use to help you get some physical activity without triggering an asthma attack. Discuss with your doctor about creating a basic exercise plan that you can follow. Remember to keep it simple and take it slow to avoid any issues with your asthma. Your doctor will monitor your treatment on a regular basis so be sure to follow all the instructions that he or she gives you. Remember to also give your feedback regarding any asthma treatment that you are using.